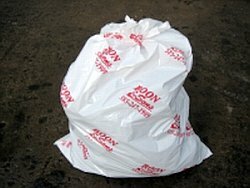 We collect pre purchased “Boon & Sons” labeled 30 gallon bags at the curbside. The bags are purchased at our office either in person or we can send them via mail (postage fees will apply). You decide how many to use each week, if any at all. A minimum monthly service charge also applies. Extra items may be collected for an additional charge. 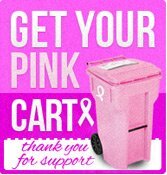 Low Volume service also includes weekly curbside recycling, even if you don’t have any trash to throw away. 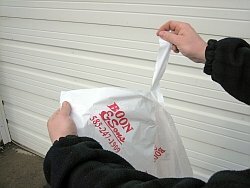 Boon & Sons' low volume refuse bags have a convenient "tie" built into the top edge of the bag. Once you have filled your bag, you simply tear off the perforated tie and use it to seal your bag off and place at the curb for collection!